Book Your Cleaning Today and Save $10. Share this coupon with family & friends. One coupon allowed per customer. Offer ends soon! NEED HELP? Life Is Busy - Let Us Do What We Do Best! As a small, locally owned and operated company, we have the experience and efficiency needed to provide excellent and reliable service. We pride ourselves in keeping close relationships with all of our clients, and work hard to gain your trust! We get to know you and your home personally so that you never have to wonder who's taking care of your home. Friendly and professional service is our top priority! We offer daily, weekly, and bi-weekly services on all aspects of residential and commercial cleaning. 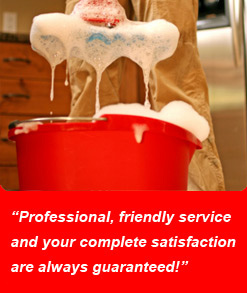 Prestige Cleaning Professionals offers all kinds of customized cleaning services to meet your needs and budget. Carpet Cleaning Services Available now! Daily, weekly, and bi-weekly services on all aspects of residential and commercial cleaning are available. Ask about our HALF PRICE OFFER! Serving Kingwood, Humble, Atascocita and surrounding areas. Tell Prestige Cleaning Professionals you saw their ad on Kingwood.com!